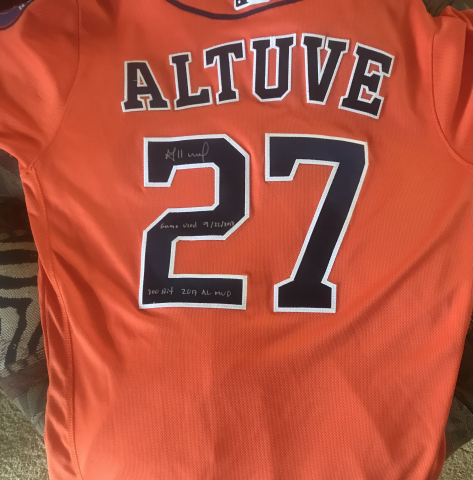 Big Time Bats is proud to release this once-in-a-lifetime collectible; this is an authentic, game-used jersey autographed by the Astros’ Jose Altuve. 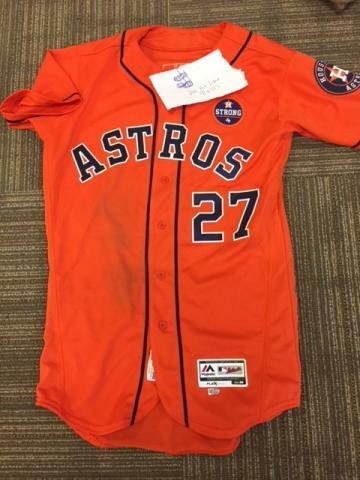 This jersey was worn by the 2017 AL MVP winner Jose Altuve during the game in which he collected his 200th hit of the season. It was just one of the great milestones reached by Altuve and his teammates during what was to become a historic season in Houston. 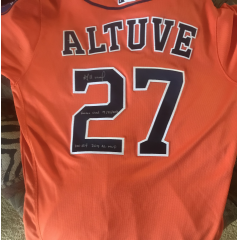 Altuve has signed the jersey, and included a triple inscription. 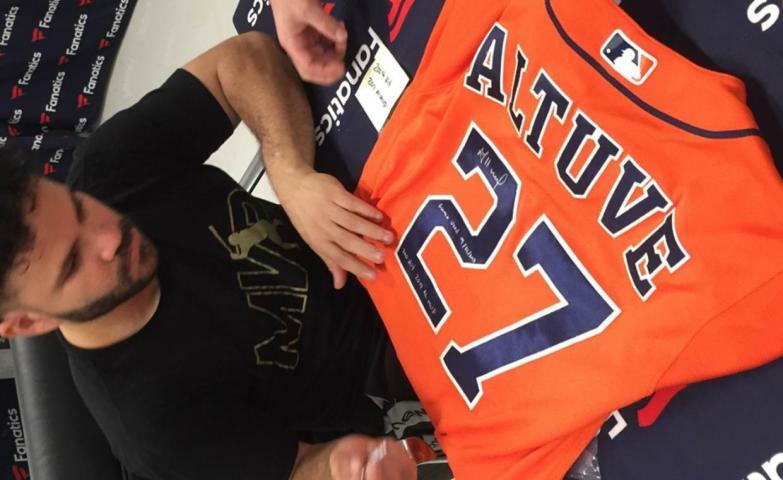 AS AN ADDED BONUS, the jersey comes with a full-color photograph of Altuve during the signing session. Altuve finished the season with 204 hits and became just the 4th right handed batter to reach the 200 hits milestone in four consecutive seasons. He led the American League in hits,on his way to being named 2017 AL MVP, and became the only player in MLB history to lead the league in hits for four consecutive seasons. In the 2017 playoffs, Altuve lead the Astros to their first ever World Series championship capping a truly historic season. 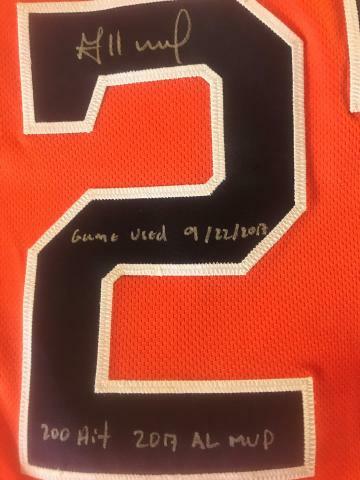 This jersey truly is a unique pieceof baseball history that would make an amazing focal point of any collection. Jersey, autograph and inscriptions are MLB and Fanatics authenticated. Due to the singular nature of this offer we must charge your credit card(s) for the full price immediately upon taking your order. This policy ensures we reserve this rare item for you. We will confirm your order by Email. This item is in stock and ready to ship.